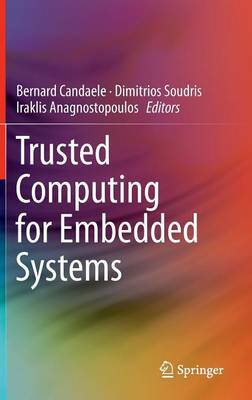 This book describes the state-of-the-art in trusted computing for embedded systems. It shows how a variety of security and trusted computing problems are addressed currently and what solutions are expected to emerge in the coming years. The discussion focuses on attacks aimed at hardware and software for embedded systems, and the authors describe specific solutions to create security features. Case studies are used to present new techniques designed as industrial security solutions. Coverage includes development of tamper resistant hardware and firmware mechanisms for lightweight embedded devices, as well as those serving as security anchors for embedded platforms required by applications such as smart power grids, smart networked and home appliances, environmental and infrastructure sensor networks, etc. * Presents secure solutions for the design of smart-grid applications and their deployment in large-scale networked and systems.